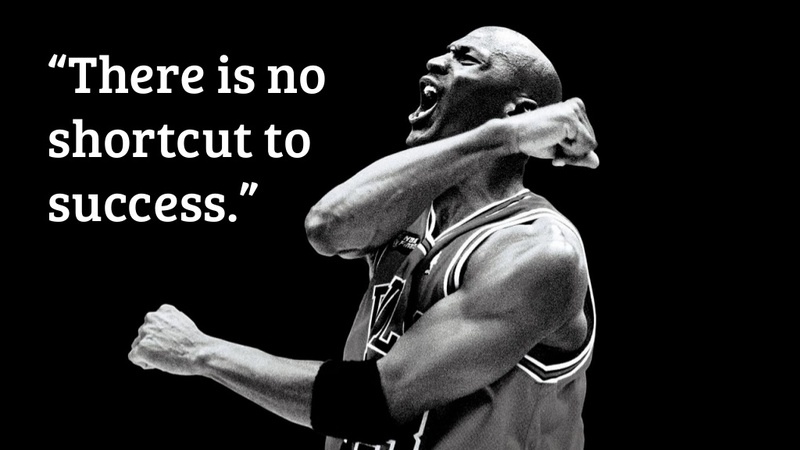 Blog » Viewpoint » No Shortcuts to Success! Any Career Seeker would be looking for a career, which will make him/her happy, get him/her prosperity, conveniences, gadgets; but most importantly for that feeling of being successful in their lives. They would be the happiest; if their success is acknowledged by the society. Nothing wrong with that. But, the moot question is that ‘Is there a shortcut to success; a hidden highway to overtake others and leapfrog; a by-pass to not face the traffic of hardships, failures and hurdles?’ Well, let me disappoint you by saying that the answer is a resounding ‘NO’! One might argue that there are many who are able to get funding and start a wonderful new “e” business. Starting something is not a success story; it is just the first step! If the same persons build a business which delivers values to all the stakeholders; namely; the customers, the employees, the investors and most importantly for themselves; then yes, we can say that they are successful. Of course, the business needs to generate profits and be growing YoY! Success is a destination, and the journey is a long and an arduous one. Let me explain this by citing the learnings from the Hollywood movie “The Shawshank Redemption”. I will take you through the movie’s story as we go along and we will analyze the different subplots therein as we read them. Ready? On your mark, get set, here we go! Andy is pronounced guilty in the murder of his wife and her lover. He is innocent. He is sentenced to two life sentences to be served “Back to Back” for the two murders. He is taken away to the Shawshank Penitentiary (Prison). In there, he is bullied by a set of convicts and gets injured with bruises many times. The first turning point comes with a few of the prisoners are taken outside for painting the roof of a Tin Factory with Tar. One of the policemen receives an inheritance from his brother; but is afraid to use the same; as it may make the Taxmen suspicious. Andy, who was a banker, before his arrest; overhears this and offers sane advice to the Policeman in exchange for a few beers for his co-prisoners (whom he calls as colleagues). In the process; although Andy doesn’t drink; he makes a few friends among the other prisoners. Slowly, the word about Andy’s financial acumen spreads amongst the prison staff and he helps all of them, in filing their returns. Finally, the Warden starts using Andy’s services for laundering money. This proximity to the policemen helps Andy to make sure that a lesson is taught to the bullies and that they do not resort to the same ever again! His friendship (beers) with a Co-prisoner “Red” helps him to get a huge Raquel Welch (Actress of the 60s’) poster to adorn his cell wall. We’ll come to this later. Lesson 1: To get ahead in life; you need others. The best way to get them on your side is to help them in some way. Don’t hesitate to seek advice and follow it. Andy and Red play draughts. Andy tells Red that he will teach him chess. He says that he will carve the chess pieces by carving them out of stone (Which is Andy’s hobby). So, he gets the tools required for the same and makes a few pieces and puts them on the window of his cell. Looking at the helpful nature of Andy, the Warden posts him to the Library of the prison as an assistant. The library is in a mess. Andy sets it right. Also, he wants to get new books for the same. He starts writing letters to the Senate committee, asking for the same. One letter, every week. This goes on for 6 long years. Then; one day a truck full of books arrives at the prison, addressed to Andy. And also a cheque for some other expenses. He buys some furniture and gets many of the prisoners to cultivate a reading habit. Lesson 2: Persistence pays. Don’t give up on your dreams, no matter what the circumstances. Pursue it doggedly and you will achieve it one day! Andy creates an identity of a non-existent person with the help of the Warden to deposit and invest the money laundered by the latter. Andy is an Assistant in the library to an old man Billy. After spending 50 years in the prison, Billy gets a parole and is let out. It becomes very difficult for Billy to adjust to the world outside. He writes a letter to Andy at the prison stating this inflexibility and mentions that he is committing suicide. Red calls this inflexibility as “Institutionalised”. Billy had been in the prison for so many years and he knew no other world. He did not prepare for the stint outside the prison; both mentally and physically. Hence the frustration drove him to the extreme step. Lesson 3: Don’t get “Institutionalised”! Be ready to move out of your comfort zone and accept change. Get out of the old habits and turn a new leaf. Expecting different results, by still doing the things, the old way; is sheer foolishness. In your career or success path, this is very important. It is called “Course correction”. Read the book ‘Who moved my cheese?’ for further help on this fact. One day, the prison mates are enthused by the entry of a young, exuberant man named Tommy. He is in the Prison for 2 years and is a petty thief. He has been to many prisons on short stints. Andy encourages Tommy to read and write so that he can stand on his feet; once he is released. On the day of writing the certificate exam; Tommy gets frustrated and throws the answer paper into the dustbin; saying he has no hopes of clearing it. Andy sends the answer paper for evaluation. This act makes Tommy question Red whether Andy did really commit the crime that he is being punished for. Red tells him the story. Then, Tommy recalls; in his earlier prison sentence had a cellmate who boasted that he killed a Golf Pro and his lover and somebody else was arrested for the same. It was in the same town that Andy was from and Andy’s wife’s lover was a golf Pro. The next morning, the prison authorities find that Andy Is missing. They search everywhere, he’s not to be found. Finally, they lift the poster of Raquel Welch (Remember it?!!) and find the hole that Andy had made through the prison wall, using the tools that he used for carving stones; which was a decoy. Andy was at it for 20 years. Chipping away…. Andy assumes the identity of the fake person that he created for the Warden and draws all the money that had been deposited/invested. Starts a new life. Incognito. He also anonymously informs the authorities of the money laundering going on in Shawshank Penitentiary. Red, when he is released, finds the oak tree and the money underneath it, for him to join Andy in Mexico. Lesson 4: Keep chipping away, you are getting nearer to your goals. Follow Kaizen (Continuous Improvement) and you’ll be ready for it. Don’t boast about your goals, in fact work on them almost unnoticed, people will be surprised at what you have achieved. Underplay, overachieve is the Success Sutra! Use all the resources available to you to ensure that you breast the tape at the finish line. Success is at the end of a long and a winding road. Go for it! And enjoy the journey! Keep the faith, the belief in yourself; nothing else matters! Remember this; one can “Get busy living or get busy dying!” Choose wisely!